Frances Atkins is one of very few female Michelin Starred Chefs in the UK. She was first awarded this prestigious accolade in 2003 and a Michelin star has been awarded to her every consecutive year since. Brought up in Ilkley, Frances attended Bradford School of Food Technology and after graduation she worked in Denmark and Scotland. Frances followed her passion cooking freelance, until she opened her first much cherished Restaurant, Atkins in Great Missenden. In 1984, Frances bought The Old Plow at Speen, Buckinghamshire and then Farleyer House in Scotland, where Frances was awarded many accolades including an Egon Ronay star. In 1993, she returned to London and headed up Shaws Restaurant in Knightsbridge, further cementing her reputation as one of the most innovative chefs in the UK. For the past 21 years’ Frances has established an international reputation for fine food and exceptional hospitality with her trusted team at The Yorke Arms in the Yorkshire Dales. 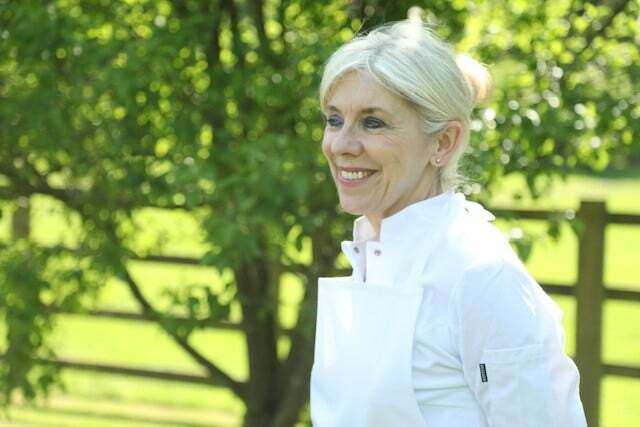 Frances continually strives to improve and create a unique experience for her guests and as a member of the Royal Academy of Culinary Arts and a fellow of the Master Chefs of Great Britain, she is also passionate about nurturing young chefs through her work at Middlesborough College.